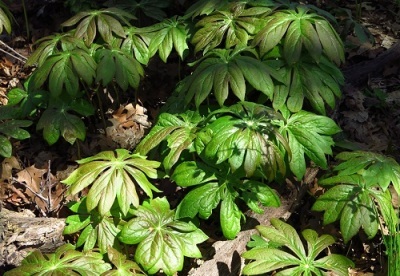 Habitat: Rich woods, damp shady clearings. Height: up to 45 cm. 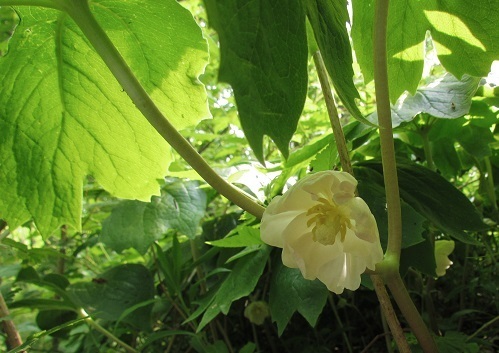 ​Large umbrella-like leaves with flower/fruit hidden beneath. 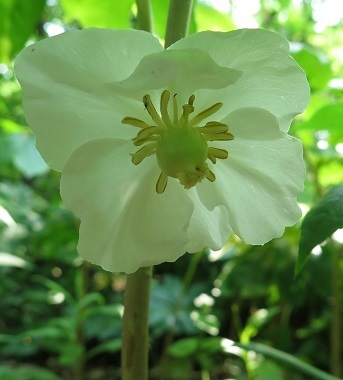 Flower: 3-5 cm grows in the angle between a pair of leaves. ​No nectar, but plentiful pollen, which attracts bumble bees and other pollinating insects. 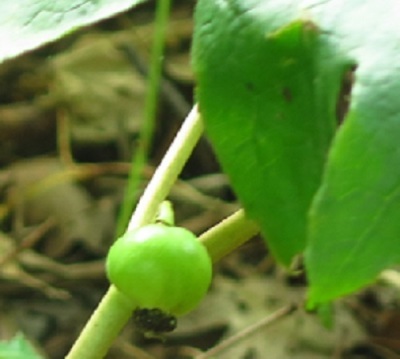 Fruit: Large yellow berry which is poisonous until it becomes ripe; is then eaten by mammals and birds, dispersing the seeds.